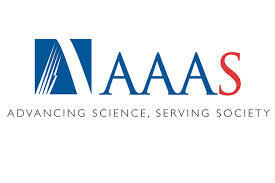 is the nation’s medical research agency—making important discoveries that improve health and save lives. the spatial distribution of proteins in 44 different normal human tissues and 20 different cancer types, as well as 46 different human cell lines. The data is released together with application-specific validation performed for each antibody, including immunohistochemisty, Western blot analysis and, for a large fraction, a protein array assay and immunofluorescent based confocal microscopy. The database has been developed in a gene-centric manner with the inclusion of all human genes predicted from genome efforts. Search functionalities allow for complex queries regarding protein expression profiles, protein classes and chromosome location. erving the information needs of more than 100,000 institutions around the world, EBSCO is the largest content provider for universities, medical institutions, corporations, public libraries and government institutions. EBSCOhost, the company’s proprietary platform and hosting service, is searched more than 25 million times each day. EBSCO is a division of EBSCO Industries Inc., reported by Forbes as one of the 200 largest privately held companies in the United States. Nursing Schools Guide, provides researching on nearly every nursing school across the United States, and researching for different nursing programs that are currently accepting applicants. Animated Text Narrations and Quizzes to Explain the Structures and Functions of the Human Body Systems. Learn about the body's systems with this drag and drop game. Choose organs from the organ tray, and place them in their correct position within the body to create organ systems. - to advocate in the public interest for a publicly funded, not-for-profit health system. 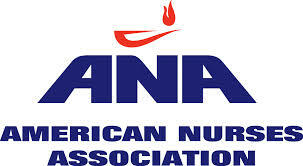 The Academy of Medical-Surgical Nurses (AMSN) is the only specialty nursing organization dedicated to the practice of medical-surgical nursing. Our mission is to promote excellence in medical-surgical nursing. Through our individual members and national societies we engage in projects to help nurses develop their skills, network with each other and raise the profile of cancer nursing across Europe. EONS is an independent, not-for-profit, voluntary organisation registered as a charity (UK number 802484). 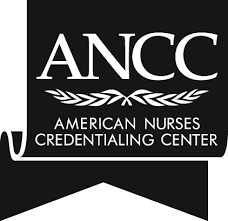 ANCC's internationally renowned credentialing programs certify and recognize individual nurses in specialty practice areas. It recognizes healthcare organizations that promote nursing excellence and quality patient outcomes, while providing safe, positive work environments. In addition, ANCC accredits healthcare organizations that provide and approve continuing nursing education. It also offers educational materials to support nurses and organizations as they work toward their credentials. The British Nursing Association is one of the leading UK providers of nursing agency services - established for over 60 years. Our helpful and friendly team at BNA works with hospitals and GP surgeries, Local Authorities, PCTs and SHAs to supply agency nurses and HCAs. We offer a reliable source of agency workers for temporary and longer-term assignments, and our services are available on a 24-7 basis.